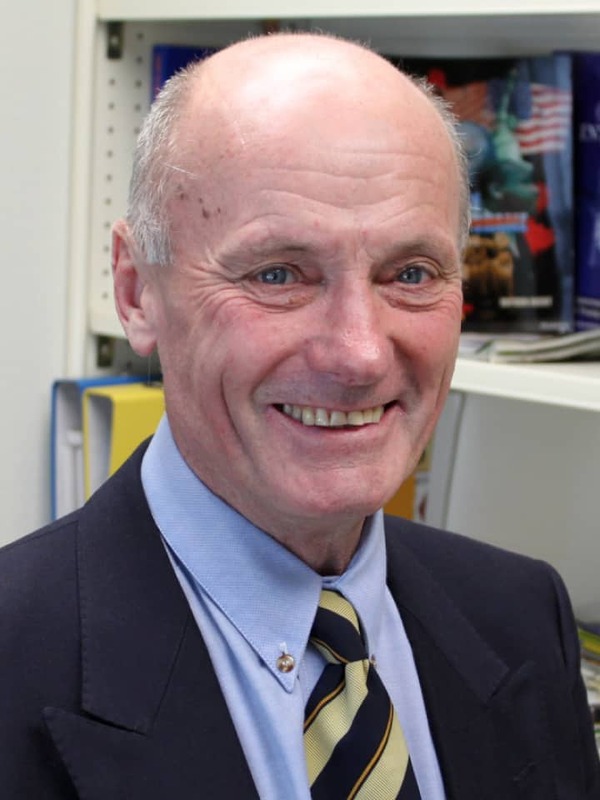 Fulbright alumnus Bill Barrett from Wellington was recently elected as the new chairperson of the Fulbright New Zealand Alumni Association, which was established “by alumni, for alumni” in 2009 and welcomes all alumni of Fulbright and affiliated NZ-US exchanges as members. Bill’s own Fulbright experience was as an exchange teacher to Kingston Elementary School in Virginia Beach, Virginia in 1978, which had a profound influence on his subsequent career in education. What impact did your own Fulbright exchange have on your life? The experience of living and teaching in the USA remains one of the most memorable, enjoyable and stimulating periods in my life. Being exposed to a different environment, differing outlooks and philosophies and quite different patterns of school organisation and curriculum provision, considerably broadened my outlook by challenging previously held perspectives. Living and working in another country, one obviously should try to view things as the host country does, despite it being difficult to free oneself from previous experiences and practices. Having basic understandings and practices challenged is immensely beneficial in itself and assessing comparisons in living and working is extremely enriching and broadening. Consequently, the Fulbright exchange enabled me to become more flexible and understanding in my outlook not only to education but in a wide variety of areas. Perhaps one of the greatest gifts from the Fulbright experience was the establishment of lifelong friendships which my wife and I enjoy to this day. We remain in regular communication with friends made whilst living in Virginia and make a point of meeting up every two years or so either in New Zealand or the United States. How different was school life at Kingston Elementary to Raroa Intermediate in Wellington, where you were teaching at the time of your award? A significant number of differences were immediately apparent. I recall my initial impression being the size of the schools compared to primary schools in New Zealand. While I taught in a large intermediate school at the time, Kingston Elementary had 850 students and some schools boasted rolls in excess of 1,000. The size of New Zealand schools and the notion that “small is beautiful” was not reflected in the Virginia Beach education system. However, while schools had large numbers of students one never really gained the impression that they were big, as never were all children seen together en masse in the huge playgrounds and fields. Intervals and free lunch breaks did not exist, whole school assemblies were not held and fewer opportunities for general student interaction existed across all grades. The way the school day began was significantly different from what I was used to in New Zealand. Unless students had a written letter from home requesting approval to walk to school, they were required to be transported by school bus. Upon arrival to home classrooms the day began with students and teachers collectively reciting the Pledge of Allegiance followed by a minute of silent repose in which students might give a silent prayer or reflect on any matter they so wished. In comparison to New Zealand at the time, each teacher had a signed employment agreement which clearly specified duties and expectations including commitments to professional development, professional visitations, and meeting attendance requirements. Teachers clocked in and out each day and were diligent and conscientious in meeting expectations and adhering to agreed requirements. A more comprehensive range of resources was available to teachers than in New Zealand. As well as an excellent array of printed resources, the school board district boasted a fully equipped television studio that broadcast both radio and television programmes to all classes upon request, and a planetarium that was also available for community use during evenings. Some lessons were conducted via instructional television which at the time was considered quite revolutionary. Teachers held specialist roles and clear and explicit time periods were specified for delivery of each curriculum area. Consequently, while elementary students had home rooms, they engaged with several different teachers during instructional and cultural lessons. Virginian student assessment practices were considerably different to those implemented in New Zealand at the time. Students were regularly allocated a grade mark from A to F in most subjects each week and students had expectations to succeed from very early in their school life. You are still working in education in New Zealand and have held a diverse range of roles over the years. What kind of work are you currently involved in? At present I am a Senior Advisor in the Ministry of Education, having a wide range of professional responsibilities. I have overview of 36 schools in the district as well as district responsibilities for specific portfolio areas. These include serving as an education officer to local Youth Courts by providing the courts with education status reports for each of the youth appearing and seeking to engage youth in education or find pathways to employment. You were a peer of founding Fulbright New Zealand Alumni Association chair Graham Cochrane, who was also a Fulbright exchange teacher 1978. Did you keep in touch with Graham at that time? Graham and I were the two recipients of Fulbright teacher exchange award in 1978-79. While we both taught in schools on different sides of the continent, we communicated regularly at non-peak hours via the then long distance telephone system, to share our experiences and compare notes. Our regular communication was always interesting and very supportive. What would you like to achieve in your time at the helm of the Alumni Association? I am greatly looking forward to working with the FNZAA team to continue to positively promote the Fulbright vision and mission. At the end of my time, I hope that we continue to have a vibrant and robust Alumni Association across regional districts and one that strongly supports and celebrates the mission of Fulbright New Zealand for both current and past grantees.